Listening to the brand new album “BRAVEFACE”– which is set to release the 13th of April 2018 – by The Silver Bayonets is like climbing up and own a series of steep hills. The flow, the trip, the atmosphere, the anticipation, gives the album a fantastic undulating mood all its own. The music is more than badass guitar riffs and pounding drums; it has a feel and life unique to itself. And that is what makes the album spectacular. Like most of the band’s music, “BRAVEFACE” isn’t just something to listen to; it’s something to experience. Hype aside, this album really does lack any significant flaw. The songs are all well written, well arranged, and the track order as a whole is well laid out. Dave Draper (The Wildhearts, The Professionals, Kerbdog), the album’s producer, couldn’t be a better match for the band. The guitars, drums, bass and vocals all sound great. 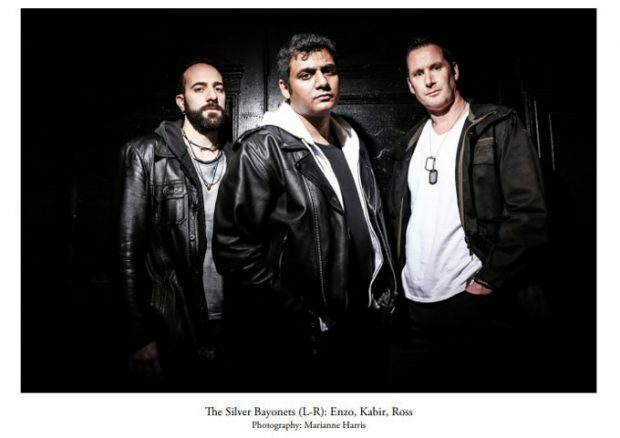 Those things being said, “BRAVEFACE” is an incredible album full of great music, feel, and groove which is infused by its players – Kabir Sheikh (Guitar & Vocals), Ross Guy (Bass & Vocals) and Enzo Cuticchia (Drums & Vocals). “Real Like You” starts the journey. The incredibly high-quality guitar-driven music beats all the garbage on the airwaves today. Though it will probably receive little mainstream recognition, this is a mind-blowing alternative and melodic piece that sets a new standard for the genre. Or rather, takes us back to the classic standards set by the legendaries of the genre. Track two, “Storms Inside” will absolutely blow you away as you get dragged into an almost punk rock behemoth. Four minutes of phenomenal drive, hard-nosed riffs and an incendiary guitar solo that is stunning to listen to. 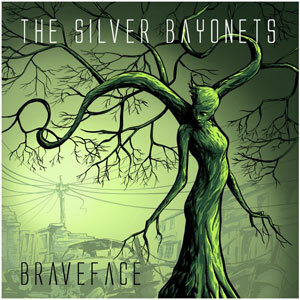 As The Silver Bayonets jump into the forward momentum rock of “Time Machines”, you realize that every song on “BRAVEFACE” has its own style, flavor, and sound. Yet at the same time, the album has a cohesive feeling to it, which makes it more enjoyable to listen to start to finish instead of track by track. This is due in part to the fantastic Adrenalin pacing of the album, which switches from heavy and extreme to catchy and rocking, almost on a track by track basis. As the album changes, so too does the accompanying vocal style, which range from soaring harmonies to high pitched croons and back again without a hitch. It’s a good thing too, because the vocals are often what seems to be driving the album forward, pushing towards the next big climax. This sort of sustained momentum – which only takes a brief break in the first half of “Inside The Jar” – is a rare find, and what’s more, it’s done brilliantly. A tall order for a band that’s only released a pair of albums thus far. The members of The Silver Bayonets are no slouches when it comes to their given instruments. Listen to how they drive the power behind “World Slow Down”, or execute the fantastic nuanced arrangements of the album’s two standout tracks, “Sour” and “How We Heal”. But for all the band’s performing skills, this isn’t why “BRAVEFACE” is such a strong album. No, this is due to the bands incredible song writing prowess. Full of fresh intensity. 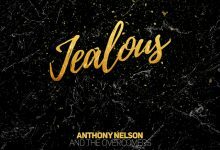 There are moments that challenge you to wrap your head around exactly what’s going on, and equally numerous times that you’ll be swept away by anthemic choruses. Much of the album plays as if there’s a ton of energy waiting to be released, which then bursts forth in a moment of bliss. This is pretty evident on “Fake” and “Suffocating Me”, another one of the album’s extreme standouts. 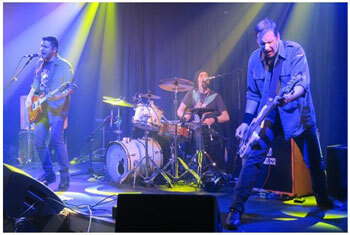 The album ends on an upbeat and melodic note with “Domino”. Despite the turbulent energy and untamed song structures, “BRAVEFACE” has a knack for inviting successive listens without becoming overbearing. That inspiration is definitely on display everywhere here, as the ingenious moments throughout the album’s playtime unravel with determination. With this album, The Silver Bayonets has shown not only talent and vision, but the patience to let those qualities bring it to the fore of alternative rock, where the band is proving it belongs.